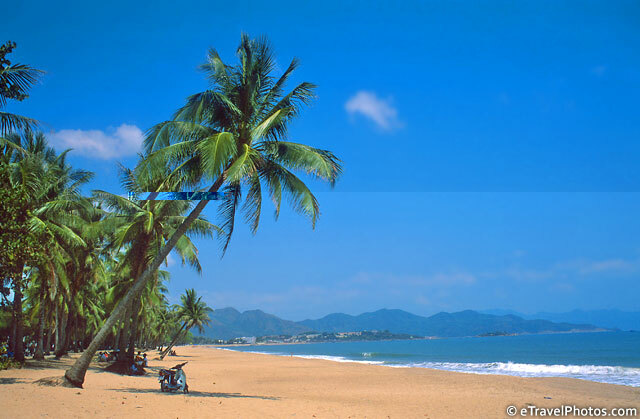 With its sparkling bays, coco palms, warm waters and white sand beaches, Nha Trang is one of Vietnam’s popular beach getaways. 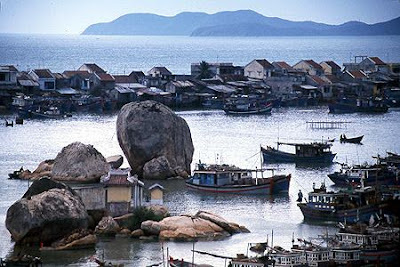 The town itself is small, with fishing as a primary industry. Fishing boats painted bright red and blue provide a splash of color to the rustic harbors. A short drive into the countryside reveals rural farming villages nestled in the verdant valleys of gently sloping mountains. Nha Trang Beach has a rich historical past, and was formerly the center of the ancient Kingdom of Champa, The kingdom dominated the region from the 2nd century A.D. until the 15th century when they were defeated by the Ly Dynasty, founders of the independent Vietnamese state. Tower ruins of this civilization have survived the years, and are located just north of town. The Cham Towers, which represent a holy place where many come to pray, explore or relax while enjoying the views sit atop a hill overlooking the Cai River estuary. In 1891, Dr. Alexander Yersin, a French immunologist, founded Xom Bau Village where fishermen migrated, making it a bustling and crowded village. Quickly, more and more people began migrating to the new town and a local government was established. 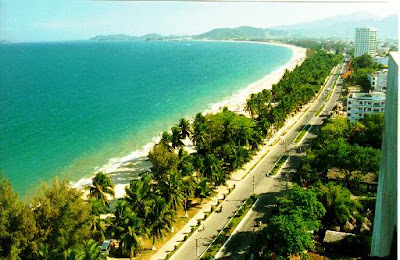 The small village, later named Nha Trang, is now the capital of the Khanh Hoa province and has a population of approximately 300,000 inhabitants. vacationers plus a handful of westerners.